In the 1970’s, when Geraldo Rivera snuck into the wards of Willowbrook and Letchworth Village with his stolen key and camera crew to reveal their conditions to a horrified public, the wheels of national deinstitutionalization were set into motion. The United States is speckled with former psychiatric hospitals left vacated and empty, relics of another time slowly receding into nature. They seem so far removed from modern society that we seem to only ever hear about them in the horror genre and Halloween entertainment, but the realities of life, neglect, and abuse in a mental institution are really not all that far behind us. At the turn of the 20th century, William Pryor Letchworth envisioned a sort of caregiving village as an alternative to the poorly maintained Victorian asylums and almshouses of the time. This new kind of facility would be largely self-sustaining, in which patients could support themselves through farming, household maintenance, cooking, sewing, and vocational training while receiving care for their mental illnesses. Buildings should not be more than two stories high, nor should they contain more than seventy inmates; that the basements should not be used for purposes other than storage; that the dormitories should be at least two hundred feet apart, with sufficient space for each to have its own playgrounds; that there should be such separation of groups that inmates of one grade could not come in contact with those of another grade; and that in locating the buildings advantage should be taken of the natural beauty of the place. With these principles in view, we have planned an institution with six separate groups, each distinct and complete in itself and so far removed from the others that it may be considered as a small institution by itself. But with rising demand, the hospital hit its 3000-patient quota all the way back in 1935. Photojournalist Irving Haberman documented naked, dirty residents sleeping on mattresses on the floors of Letchworth as early as the 1940’s. Federal funding, which constituted 25% of Letchworth’s budget, required that each patient had 80 square feet of space. By this time, each patient only had 35 square feet, while whole buildings sat empty because there was no staff to run them. There wasn’t even enough to keep the patients dressed, cleaned, and fed. As a consequence, patients who were capable of working outside the hospital setting were kept, and paid, as staff to care for those who were not – but they weren’t allowed to leave. There was also some concurrent medical testing on patients without their permission. And as awful as things were at Letchworth, the situation at Willowbrook School, which constituted the other half of The Last Great Disgrace, was downright nightmarish. Though the word “School” was part of its name, fewer than 20% of its patients would ever see any kind of training or classes. They were rarely bathed (with the same rags used to clean the floors and everyone in the ward), and there was a 100% rate of Hepatitis due to deliberate experimental exposure. Abuse was rampant, and there are multiple interviews of family members arriving during visiting hours to find their loved ones with broken limbs. All the while, the government continued cramming more people into both hospitals while cutting the budget even further, costing them the few attendants they did have. “A situation that was bad became hopeless,” Rivera said. 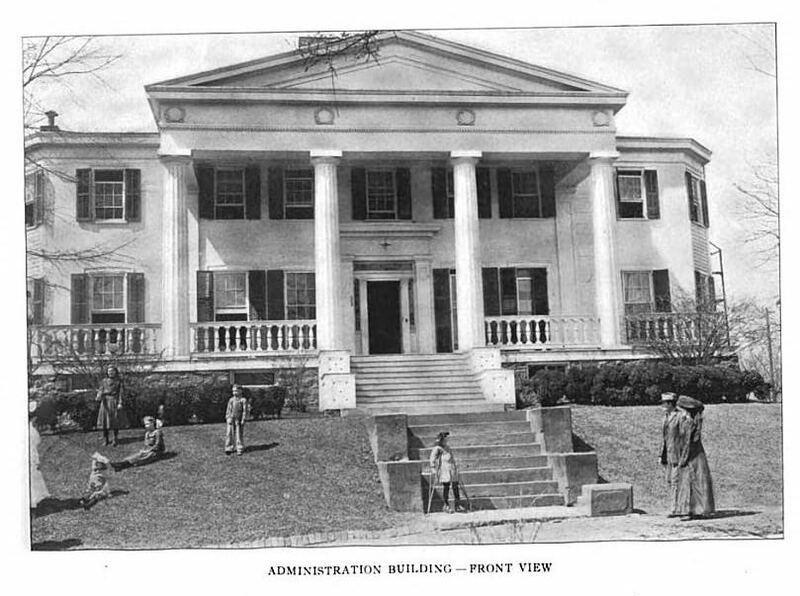 In the immediate wake of the documentary, the state of New York hastened to restore funds and staff to the Department of Mental Hygiene and, therefore, Letchworth and Willowbrook, but it was too little, too late. State-run psychiatric hospitals across the country closed their doors over the next few decades. Unfortunately, as well meaning as the new laws were meant to be, there was no replacement besides privately run institutions, and former patients who had no money or family were released into the cities without any additional resources or further support. Today, prisons and homeless shelters have largely taken the place of the publicly funded psychiatric hospitals, where people are slightly better cared for but still untreated. Several buildings on the Letchworth and Willowbrook campuses are being reused. Willowbrook was very recently memorialized with a walking path lined by historical plaques on its former site. Visitors are allowed to drive and walk around the Letchworth property but access to the buildings is restricted. Its Wikipedia article states that recent redevelopment plans were canceled once they threatened neighboring Little League fields. Every once in a while, the facilities resurface in modern pop culture, such as an episode of the Travel Channel’s Ghost Hunters (Letchworth), or the second season of American Horror Story (Willowbrook). Hudson Valley Magazine posted an article titled “The Real History of Letchworth Village” that doesn’t go into much detail about the later decades. A retrospective documentary called Unforgotten: 25 Years after Willowbrook was made in 1996, and the links to it and the original are available below. Thank you for collecting these photographs and links. It is one bright spot that some relatives of patients in such places did not wish their loved ones to be nameless and neglected to the grave.